NaNoWriMo. No, that’s not Mork that you’re hearing. It stands for National Novel Writing Month. 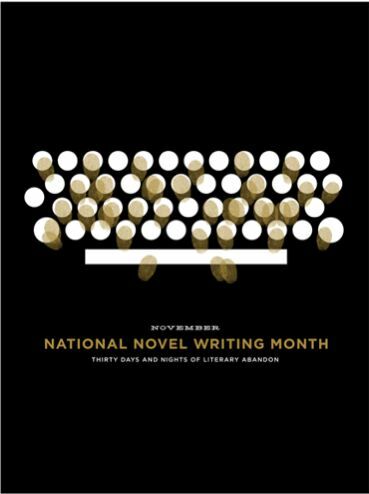 Every November 1-30, novelists wanting a push to crank out first drafts gather at NaNoWriMo.org, register, and set a personal goal to wrestle into existence at least 50,000 words of a novel. The idea is to simply generate quantity, not quality, so that by the end of the month there’s raw material to shape and improve. Of course, I’ve had no problem getting out my first draft of my novel. (Those of you who know me well are stepping back, waiting lightning to strike me.) Sigh. Alas, I’ve been slower than Christmas writing this novel. I need deadlines. So…I’m going to dive in to NaNoWriMo this year. I can think of a million reasons why this is a horrible month to challenge myself with a goal like this, but when is there a good time? The last few weeks I’ve missed concerted writing, and this is a great way to jump start me. Will I meet the goal? Who knows? But this girl’s sure gonna give it her best shot. Cheer me on or heckle me for lagging: soon I’ll try to add a widget on this blog so you can see how far I’m getting.